These pages are designed to share data we have collected so far and to seek help in filling in all the blanks. If you see a page with information missing, it’s because we’re still searching for those details. Please help us if you can. 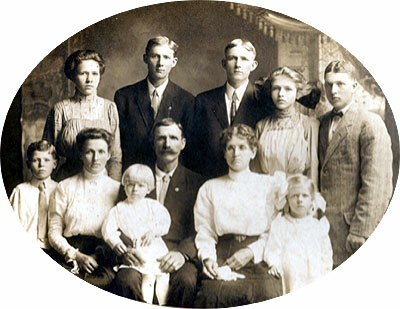 The home page photo is of the Austin Bond family of Fairfield, Wayne County, IL, my great grandfather.